When it comes times for your final inspection, mold can often be a tricky one to look for. However, this doesn’t mean that it isn’t something you need to try to find! Below is a great port from AREA Title Agency, Inc. with tips on how to uncover mold growth during your final inspection. If painting the house in between your last visit and the final inspection was not on the agreed list of items to complete, then you have to ask yourself why the seller would go to the trouble. If you can smell fresh paint, speak with the current owner about why it has been painted and consider getting the area tested professionally. Running your hands firmly along the walls of your home as you make your final inspection tour can uncover more than you would believe. Damp spots in the wall are almost undetectable just by looking, but a quick brush of your fingertips over the area could uncover serious mold problems! 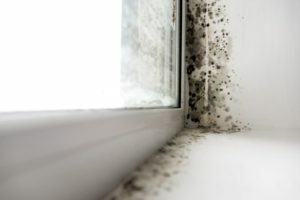 If you can feel damp spots on the walls and the seller can’t explain why, it might be time for a professional mold test. While you might not like the idea, crawling under the property to inspect the foundations can also help you to discover hidden mold growth. Even though it’s out of sight, it shouldn’t be out of mind. Along with the health implications which come with mold, removing and repairing the area can be a costly affair. Be sure to keep the above tips in mind during your final inspection and make sure you address any concerns with the current owner before you sign any paperwork. Of course, when it comes time to protect your new investment there is no better option than title insurance in Toledo, OH. Speak with AREA Title Agency, Inc. today at (419) 242-5485 to learn about the benefits of title insurance in Toledo, OH and how title insurance in Toledo, OH can provide you with financial peace of mind.